Ever dreamt of being an astronaut? 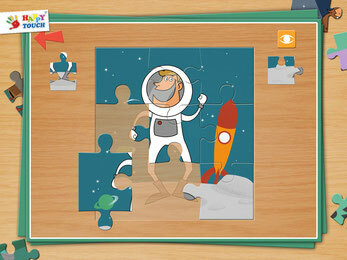 With our new fantastic job puzzles your kids (3+) can experience different jobs easily. They can work on a puzzle and watch funny animations. Today Set 2 of our funny job puzzle with 8 amusing jobs release!